Career change is now common, and is very easy for people to get it wrong and settle for something much less in career advancement and remuneration. Career change by design...not chance! Career satisfaction is an important consideration that underpins your self-esteem and mental health, plus your loved ones financial security...so there is a lot at stake. The term "career change" is a short and simple two word phrase that does not adequately reflect the complexity and difficulty involved in effectively changing your career. 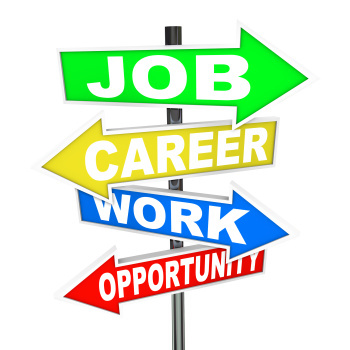 Career change is about getting a "good outcome" not simply finding a new job...people often confuse the two. It’s about moving into a completely new sector or occupation and certainly involves challenging your personal comfort zone. Professional assessment and intensive research are required to identify your current transferable skills, or to develop a strategy to gain the necessary skills and additional qualifications (re-training and/or up-skilling). Identifying companies and sectors that have growth is also critical to a person's long term career prospects...the workforce is rapidly changing. As previously stated career change is a complex process to get right and may require a number of steps over a period of time to properly finalise. Specialised career and strategy planning to effectively manage the process is the key to a successful outcome. It can be a highly rewarding and transforming journey or problematic...it all depends on how you manage your career change and transition process. Considering making a career change but feel held back by self-doubt and lack of prevailing workplace knowledge? Using ACMA's unique online career management system means you can work closely with your career management consultant from anywhere in Australia and/or overseas. Career change can be life changing, challenging and easy to get wrong...make sure that you get the best possible outcome by seeking professional advice and support. Career change is one of the most important intiatives you will undertake throughout your adult life...so you had better get it right. IT IS NOT SIMPLY A MATTER OF GETTING ANOTHER JOB! Multiple factors including your personal values and aspirations need to be addressed, and if you get just one factor wrong then disastrous consequences may follow. A typical career change can have up to fifty separate components that need to be aligned, including your psychometric profile, transferable skills and much much more. Your current occupation and seniority is irrelevant...as all of the above applies to any level of the workforce or occupation. Career change services in Australia/NZ have been revolutionised with the development of ACMA's cloud based online career management system. People going through career change no longer have to attend a CBD office and wait a week or more between consultations. ACMA's online career management system allows them to work 1 on 1 with their dedicated consultant from anywhere and at anytime...7 days per week. The system allows 1 on 1 contact online via computer, tablet and smartphone access, plus a 24/7 telephone 1800 TELEPHONE SUPPORT facility. Convenience is one advantage, the other is the ability to move FAST in critical circumstances, such a being invited to an interview tomorrow. If this occurs the career management consultant can immediately initiate the interview preparation/training module to prepare the person for the next day's interview. This technology allows ACMA to work with any person throughout Australia/NZ no matter how remote (or local) their location might be...using a structured case management process. Identify your career path, develop your career plan or get that better job and salary that YOU DESERVE from the comfort of your home...from anywhere.